This industry event will bring together influential practitioners who set budgets, select vendors and specify products. Exhibitors include those from software to building systems to stone and tile. Nearly 800 leading building product manufacturers are bringing their best architectural products and materials to the expo so you can experience what’s new, next, and cutting-edge. 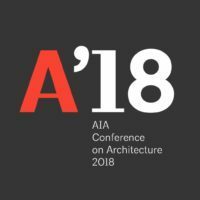 This year the AIA Conference on Architecture have curated nearly 100 tours of the city’s best architecture in Manhattan, Brooklyn, Queens, the Bronx, and Staten Island, as well as taking over nearly 200,000 sq. ft. of the Javits Center.